It’s cold, so let we cook a menu that make your body warm. 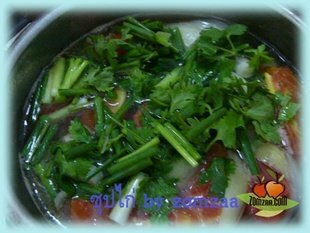 It is about soup, the one of simple healthy food recipes. When I feel cold, I want to eat something warm and soft. 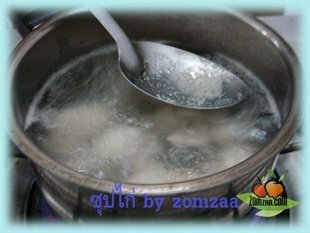 Today it’s a good day that my mom showing how to cook chicken soup ! 1. 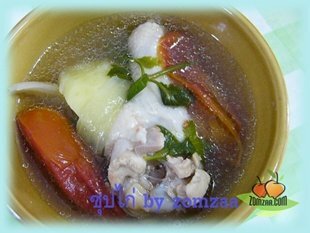 Drumsticks chicken / chicken wings 200 g.
7. Boil on medium heat about 5 minutes if the potatoes are cooked. 8. 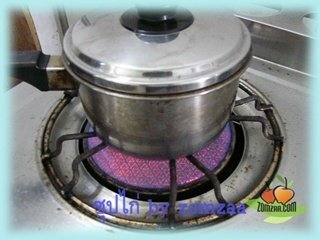 If it is not cooked, boiling until potatoes cooked. 9. 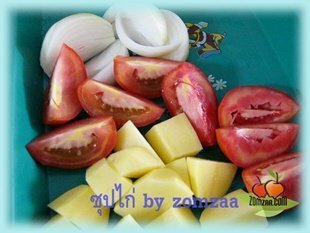 Then add sliced onions and the sliced tomatoes. 10. Boiled until cooked and soft. 11. 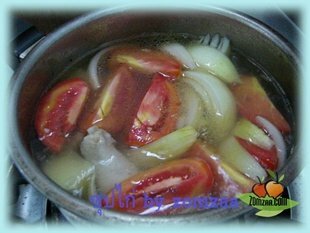 Fill celery and onion. This menu is made easy. For a family meal or food for child when cool. It’s the alternative healthy and delicious chicken soup !